The SPRSA Safety Spotter Arms ensures you can use your SPR500 Commercial Half Rack with unmatched safety. Each SPR500 Commercial Half Rack contains a single pair of SPRSA. 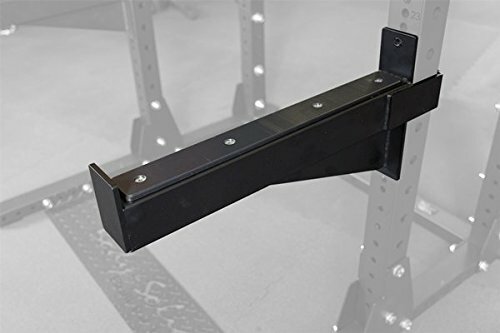 Constructed from 3"x3" 11-gauge steel, with welded ends, each spotter arm is over 22" long and will handle over 1000 lbs. This gives users comfort and security through even the most strenuous of workouts. The hole spacing on the SPR500 Commercial Half Rack allows users to adjust the SPRSA in 1" increments ensuring the proper height for any exercise. 3"x3" 11-gauge steel. Welded ends.